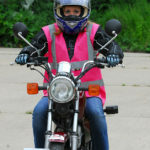 Here at 1on1 Rider Training we offer you a complete training package to suit your needs and to guide you through every stage of your motorcycling adventure. All our courses are designed around you and your timescales. 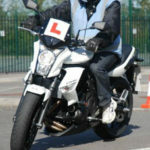 We are a small team of instructors both full and part time. With a combined teaching experience of over 80 years! Our ladies and gents team can offer a wealth of knowledge to help with your training requirements.
" Amazing bike training enjoyed it so much and they made life so easy I've sent all my mates there! " "They are a fantastic bunch and couldnt sing there praises enough If you ever want to learn to ride." " Great people who all have a passion for what they do. Makes for a brilliant place to learn. Very highly recommended." "Jen is the most fantastic bike trainer ever and I owe the fact that I can now ride to her , she was amazing, every minute was enjoyable , I couldn't have done it without her help! " 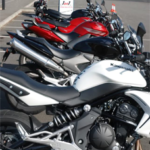 "Fantastic friendly and down to earth, I wouldnt have passed my DAS if it wasnt for Jenny, I recommend Jenny and Martin to every motorbike enthusiast I meet!" " The most helpful, supportive and friendly trainers possible. A huge thank you to Martyn and Jenny - I'll see you in a year to sort out my full licence! Highly recommended!" "Thank you guys for getting a very nervous person through the day. Have learnt so much and you have given me the confidence to carry on. Great day, thanks again "
Your Driver’s License Is Just A Click Away!